Before you place your order please read the following Terms and Conditions properly. Your Purchase confirms your acceptance of Musclerapid.com Terms and conditions. Musclerapid.com reserves the right to refuse to ship and process whereby the purchaser has not confirmed the acceptance of the Company Terms and Conditions. (I)All purchasers must be a minimum of 18 years of age. (II) All Purchasers fully understand and possess the relevant knowledge about governmental regulations and health and safety Laws regarding the use/exposure and handling of products contained on musclerpaid.com as it pertains to their respective country/state/province. Hence the purchasers agree not to violate any Laws within their respective country upon purchase. (III) All purchasers are fully aware of the uses/side effects of the products contained on Musclerapid.com. 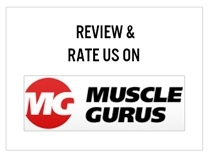 (IV)All users agree to contact Musclerapid.com in the event of any issue prior to posting any reviews. (VI) All Products contained on Musclerapid.com are intended for Research Purposes only All products should only be handled by qualified professionals. (VII)All information contained on Musclerapid.com is for and affiliated sites are for general information purposes only and is not based on medical opinion. (VII) Your order will be dispatched at your own risk! Musclerapid.com takes No responsibility for Customs Seizing packages, and consequently will not refund or reship any products as a result of Customs Seizures! (IX)We also do not take any responsibility for orders damaged, delays, losses and any charges incurred by international postal services outside of the UK. We do not offer returns or refunds under any circumstances. (X)Any dates that we give you for the delivery are approximate only and we shall not be liable for any losses, costs, damages, charges by the Postal Service, or expenses caused by any delay in delivering of the goods to you, unless caused by our negligence. (XI)Once an order is requested and dispatched we assume the correct details have been provided, we take no responsibility from miss- deliveries and subsequent losses arising from the submission of incorrect shipping information.